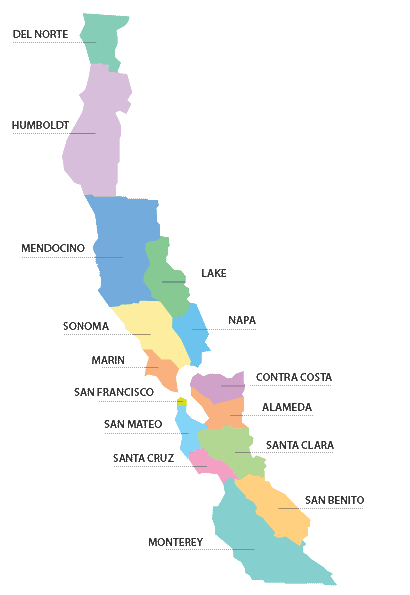 The NCRIC was established by the Northern California High Intensity Drug Trafficking Area (NC HIDTA) Executive Board in 2007, combining the personnel, intelligence and investigative resources of the region's Investigative Support Center (ISC), the Northern California Regional Threat Assessment Center (NC RTAC) and Terrorism Early Warning Groups (TEWGs). NCRIC is an integral component of The National Fusion Center Enterprise, is part of the State Threat Assessment System (STAS) and is one of 79 state governor designated and DHS recognized fusion centers in the United States. With the cooperation of the law enforcement community, the NCRIC provides comprehensive training and intelligence products that give public safety officials a vital regional picture of trends and patterns relating to terrorist operations, major drug trafficking organizations and other major criminal activities. Funding for training is provided by the White House's Office of National Drug Control Policy (ONDCP) and DHS through the Governor's Office of Emergency Services (Cal OES) and the Bay Area Urban Areas Security Initiative (Bay Area UASI). Serve as the FBI's Joint Terrorism Task Force, STAS, National Network of Fusion Centers (NNFC) and DHS National Operations Center (NOC) intelligence and information sharing point of contact for the Northern District of California. Per the White House's National Strategy for Information Sharing and Safeguarding, the NCRIC serves as the regional "all major crimes" intelligence fusion center for the Federal Northern District of California. As such, we centralize the intake, analysis, fusion, synthesis, and dissemination of Suspicious Activity Reporting (SAR) as well as criminal and homeland security intelligence throughout the Northern California coastal counties. The NCRIC's personnel and technology resources are also funded through the Office of National Drug Control Policy (ONDCP) and DHS through Cal OES and the Bay Area UASI. The day-to-day administrative, financial, and program management for the operations of the NCRIC are the responsibilities of the HIDTA/NCRIC executive director and the deputy directors. The NCRIC is governed by the HIDTA executive board. The NCRIC is governed by the NCHIDTA /NCRIC Executive Board comprised of 18 voting members, 9 federal and 9 local agency members. The Executive Board facilitates inter-agency efforts to eliminate or reduce public safety threats to the region. The Executive Board ensures that threat specific strategies and initiatives are developed, employed, supported and evaluated. To be notified of future employment opportunities as an analyst please visit our fiscal agent's website for unclassified, grant funding limited, positions as an intelligence analyst or lead intelligence analyst. To be notified of future employment opportunities as an analyst, please visit our fiscal agent's website for unclassified, grant funding limited, positions as an intelligence analyst or lead intelligence analyst. For non-urgent tips or leads. Coordinate the exchange of criminal intelligence, threats, and hazards and facilitate regional communication among Northern California Law Enforcement, First Responders, Government and Private Sector Partners to improve our regions ability to identify, prevent, protect against, mitigate, respond to and recover from the man-made threats and hazards that pose the greatest risk to our region. © 2019, NCRIC. All rights reserved. NCRIC Partners Learn More Need Help? © 2010 NCRIC Northern California Regional Intelligence Center. All rights reserved.